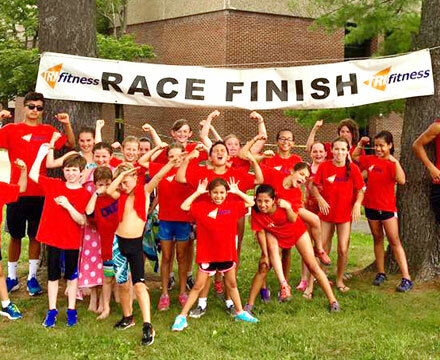 Unfortunately due to lack of registrations, the 2017 Weston Family 4th Mini Triathlon Has Been Cancelled. Please Contact Trifitness if you have any questions. Celebrate the 4th of July family style and let the kids and the adult beginners do a mini triathlon with a pool swim, a closed to traffic bike ride and run on fields and side walks. We are excited to work with the Weston Parks and Recreation Department and offer this fun family event in the morning. Everyone will be invited to join more fun in the evening for the Weston Fireworks. We will decide the start times closer to race day and will email participants their time starts. It is a family event and want everyone to have fun. Parking will be located by the High School until 8am and will reopen as soon as the last biker is on the road, probably around 9:45am. If you need to arrive later or leave earlier we encourage you to park at the elementary school (first parking lot) and walk to the Middle School where the triathlon will take place. The Weston police will be closing the school road for the duration of the race for the safety of the children. Please plan accordingly but try to come early and cheer other racers. There is a no-refund policy for the race. Races are rain or shine unless we determine that race conditions are dangerous. This will be based on a prudent decision made on race weekend. If the race is canceled there will be no refunds. This position is consistent with USAT recommendations and with the protocol of sharing the risks associated with the sport of triathlon. In the event of inclement weather, Acts of God, or unforeseen circumstances, we reserve the right to alter, cancel or eliminate any/all portions of the race. Each athlete must accept any such risk of their entry fee paid including other amenities paid for such as t-shirts, insurance, and online administrative fees. All fees collected are used to develop and produce the event, including all race supplies. © 2018 Trifitness. All rights reserved.